Mukava’s founder Antti Koskenrouta created his first website in 1997. Today Antti specializes in building large-scale WordPress implementations, and his passion for WordPress has led him to be an active participant in the Washington DC WordPress community and a four-time speaker at WordCamp developer conferences. Antti has worked on WordPress projects for clients such as the District of Columbia Public Schools, Comcast, Virginia Tech, Metropolitan Shuttle, and StepAfrika. 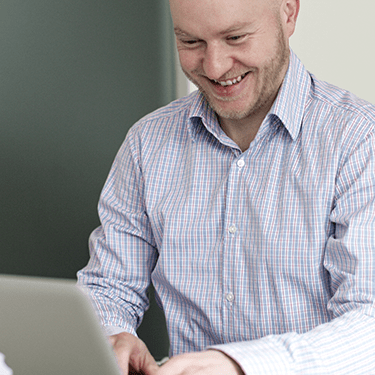 Antti’s greatest strength is pairing his business background with solid knowledge of web technologies that together create simple and effective solutions to his clients’ web challenges. Outside work Antti enjoys CrossFit, taking his dogs Logan and Honey out for long walks, traveling wherever and whenever possible, and having an occasional gin and tonic.